This is a pair of note pads, made in an Asian style stab binding, just like I use them myself. The beauty of this binding style lies in the simplicity. These pads have an enforced back (i.e. cardboard for a last page). 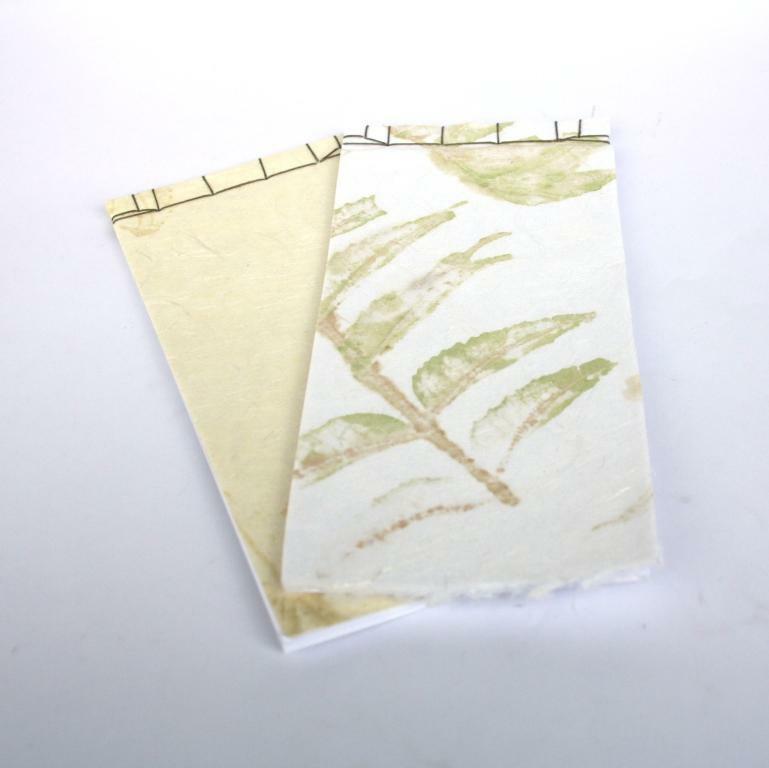 The cover is a thick yet soft Asian paper with a fabric quality to them, and with leaves printed onto them. - As you can see, one of the covers is white, the other an off-white. Inside are about 60 sheets of paper. Due to their size, they are great for any lists, for quick sketches, and I hope they will make good companions at the side of their recipient's craft table. To see more of Hilke's work, visit her shop at www.buechertiger.etsy.com. Very nice! I really like stab binding. It's strong, attractive and there are lots of patterns that can be created with the stitching and variations on covering materials etc. These are great little notebooks. I'm sure the recipient will be happy. 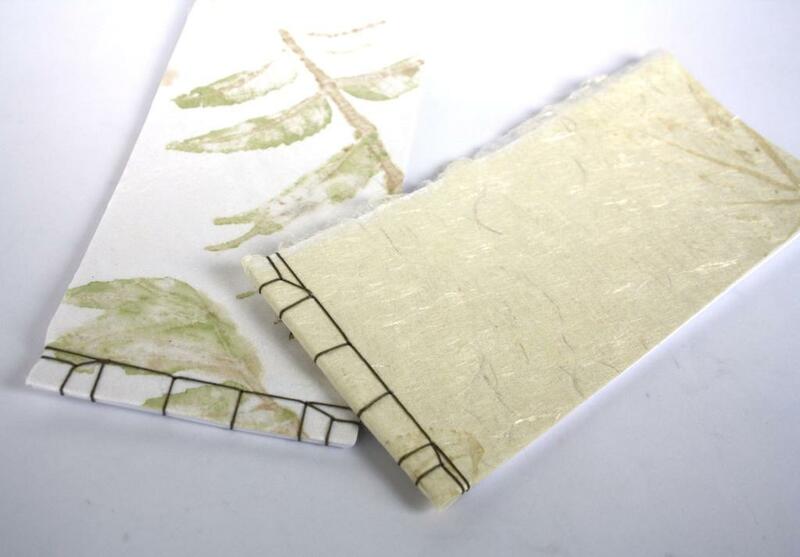 it's a wonder how beautiful notepads can become. lovely work! These are beautiful Hilke! The papers are very elegant--a nice choice for this binding.